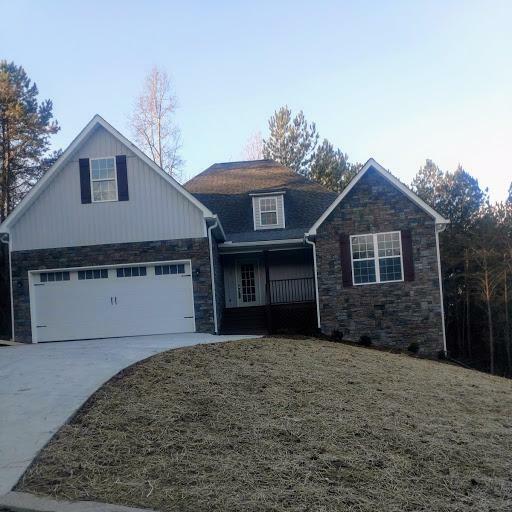 NEW CONTRUCTION CRAFTSMAN STYLE HOME IN QUIET COUNTRY SETTING. THIS NEW HOME OFFERS LOTS OF UPGRADES: QUARTZ COUNTERTOPS, STAINLESS STEEL APPLIANCES, HARDWOOD & TILE FLOORING, CATHEDRAL CEILING IN THE GREATROOM, DOUBLE VANITY AND TILE SHOWER IN THE MASTER, FINISHED BONUS ROOM, FIREPLACE AND DOUBLE GARAGE. SELLER IS A LICENSED REALTOR IN GA. LISTING AGENT IS SPOUSE OF THE SELLER. Listing courtesy of Morgan & Associates Realty Llc.